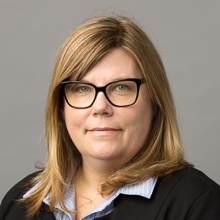 Marshall, Gerstein & Borun LLP congratulates The Nielsen Company and Mary A. Dresdow for being awarded the 2008 WORLDLeaders International IP Award for In-house trademark management (North America/Canada). The award, sponsored by Novak Druce & Quigg LLP, is for excellence in the management of trademark portfolios by in-house trademark departments. In nominating The Nielsen Company and Ms. Dresdow for the award, Marshall Gerstein partner Michael R. Graham, who has represented The Nielsen Company since the early 1990s, wrote: “The Trademark Department of The Nielsen Company has maintained an extensive and effective trademark clearance, registration, and protection program enabling the company to build its brand portfolio, protect its primary NIELSEN trademarks, and meet the business and marketing demands of developing media and market research industry.” Beginning in 2007, the department began working with The Nielsen Company’s various business units and subsidiaries worldwide to focus and increase the brand identity of its operating divisions and trademarks under one of the most famous and readily identifiable trademarks in the world: NIELSEN. “Most remarkably,” Graham goes on to note, “The Nielsen Company has accomplished these goals without a large in-house trademark department. Instead, its Global Trademark Manager, Mary A. Dresdow (who has been with The Nielsen Company for more than 40 years) and her assistant, Holly A. Jackson, have developed a working relationship with our firm to assist with all U.S. and international trademark clearance, registration, and protection matters, which enables Ms. Dresdow to oversee a substantial trademark portfolio without a large staff. She has established clearance, registration, and communications procedures within The Nielsen Company and with our Firm that are both effective, efficient, and economical, nurturing worldwide relationships with international counsel to maximize protection while minimizing costs. The strength of the NIELSEN trademark and other trademarks and the brand awareness the company has developed under the watchful eye of Ms. Dresdow and her counsel attests to the success of this small, but vital and effective in-house department. Working together for more than fourteen years, The Nielsen Company and our Firm have cleared, registered, protected and maintained more than 300 trademarks in the United States alone and secured protection for more than 1200 trademark registrations and applications in over fifty countries across the globe. The Marshall Gerstein Nielsen team includes Gregory J. Chinlund and Karen K. Morfoot. We look forward to continuing our work as partners in building and maximizing the value of all of The Nielsen Company’s trademarks and brand.